We always maintain a thick cover sanctuary on each of the farms we hunt. These thick cover areas are where we've gotten trail camera pictures of deer or find big tracks leading into thick cover. Every one of our club members has agreed not to go into those sanctuaries except to remove a deer and not to hunt close to these sanctuaries. We have the understanding that we will be able to hunt the sanctuaries during the last week of deer season. We’ve learned that in the late season there’s not going to be very many opportunities to see deer. So, we put on one to three man deer pushes. The difference between a push and a drive is on a drive, you may have from 4 - 12 or more drivers whooping and hollering, going through thick cover to try and spook the bucks out and drive them toward the standers. A drive is usually conducted on properties of 1,000 acres or more. However because we’re hunting small plots that are only 25 to 200 acres, we could run all the deer off the property, if we put on a major deer drive like the one I’ve described. Instead when we get ready to hunt our sanctuaries the last week of the season, we’ll put two or three standers on the downwind side of the thicket in tree stands. Then, one hunter will become the pusher. His mission is to walk as quietly and slowly as he can from one side of the thick cover to the other side of the thick cover. Using this tactic, we’re letting the deer known that there is a hunter invading his sanctuary, because the deer can hear the hunter. But more importantly, he can smell the hunter, because the hunter comes from the upwind side of the sanctuary. 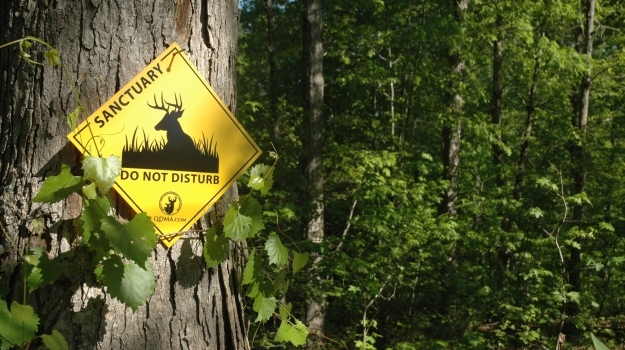 Remember, a mature buck doesn’t want the hunter to see or hear him (the buck). We’re counting on the hunters’ scent to push the deer out of the cover slowly. What happens most of the time is that instead of jumping up and running to escape the hunter, because the buck can smell and hear the hunter moving slowly, he’ll get up out of his bed and try to sneak out of the cover. This gives the stander a better opportunity to get off a shot at a walking or standing buck - instead of seeing a buck running as fast as he can like his tail is on fire. This type of deer push is a low impact style of hunting. Even if the standers don’t see or take a buck, the bucks usually will return into those same sanctuaries that night. They believe they’ve fooled the hunter, and their sanctuary is still a safe haven. Find the exit trails that the deer are using to come out of the thick cover when spooked. These will be the trails where you want to put your standers off to one side of the trails, so they can spot the bucks when they come out of the thick cover. Make sure you have the right wind to cause these deer to come out of the cover on the trails where you put the standers. Be certain the pusher understands that he's really not pushing the deer out of the cover. Instead, he's using his human scent to gently push the deer out of the cover. Therefore he needs to move as quietly as possible as he zig zags through the cover. Break twigs occasionally to enable the deer to know exactly where that pusher is. 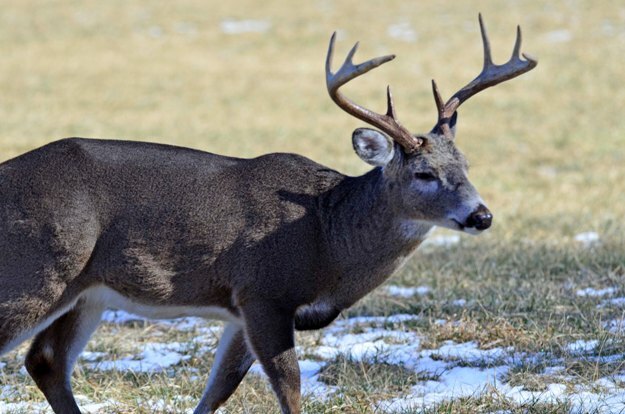 The other advantage to this type push is: if you're hunting a bigger property that’s 100 to 200 acres, and you’ve designated two or three thick cover areas as sanctuaries, you won’t disturb the bucks in the other sanctuaries when you push the first thick cover area. If you move your standers stealthily, and everyone is as quiet as possible, you can use these one-man pushes in all the sanctuaries on one piece of property. However, by having seven small properties to hunt, we can move from one farm to the next farm and hunt all seven areas during that last week or weekend of deer season. 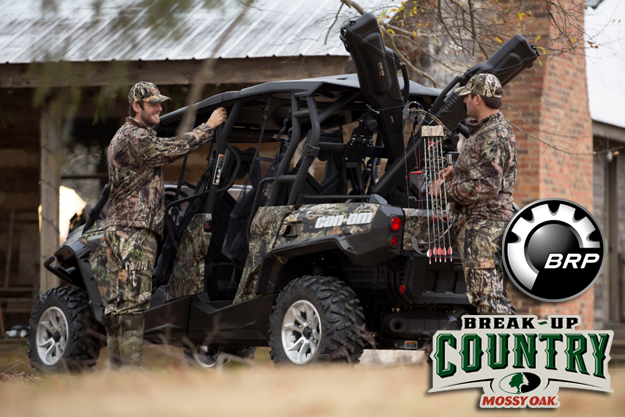 Mossy Oak, outdoor industry leader in modern camouflage design, has concluded a joint marketing agreement with BRP, maker of Can-Am ATV and side-by-side vehicles, to bring hunters and outdoor enthusiasts the ultimate powersports experience. Levi Morgan says, “I've been wearing Mossy Oak since I could walk, and I wear Mossy Oak on my TV show ‘Name the Game’ on the Sportsman Channel where I hunt a wide variety of game animals and also show tournament archery. 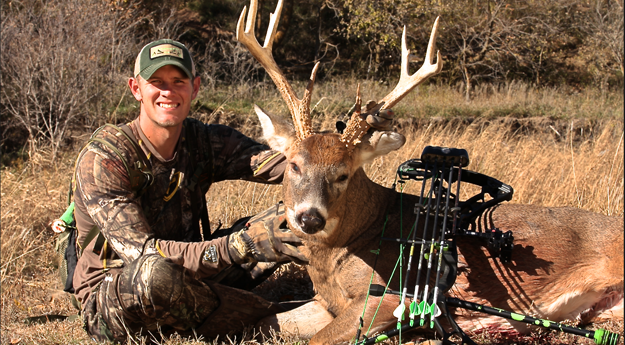 I come from a bowhunting and competition archery background.” Morgan has built his reputation by winning some of the biggest archery tournaments in the world.